Paying for a tiny dose of luxury doesn’t make me an irresponsible millennial. I’m in Starbucks right now, drinking what I always get: a venti iced coffee with hazelnut, soy, and caramel drizzle. It’s a case study in dribbly brown, a drink both Elle Woods and Dr. Evil would order, but it tastes great and costs less than $5 in the Twin Cities, unless you’re at the airport. If I paid for it, that latte would cost about $7 — as much as my normal iced coffee and a toasted sprouted grain bagel with cream cheese. I would never spend that amount on coffee alone. I have been spending some money on coffee, though, every day of my adult life. Even when I worked as a barista at Starbucks, I came right back after my shifts to drink Starbucks coffee. In the 12 years since I turned 18 and left home for college, I have spent about $20,000 at Starbucks. Personal finance guru Suze Orman recently compared coffee habits like mine to “peeing 1 million dollars down the drain.” Multiple online calculators will furnish you with more precise dollar amounts, if you want them. My $20,000 expenditure seems especially extreme to me right now because I’m in the final year of an MFA program, and my annual stipend is $18,120 before tax ($1,640 of which I pay back to the school in fees). It’s not that I live paycheck to paycheck — I have a side job, and savings. Still, there’s a certain dysfunctional ring to it: I’ve spent more than a year’s graduate school stipend on my Starbucks habit. Going to Starbucks every day arguably holds me back, making me yet another millennial who can’t afford real estate or diamonds or J. Crew boat shoes (let alone a boat). Coffee is undeniably more scapegoat than villain here, especially when it comes to real estate — housing prices are growing twice as fast as wages — but my demographic has still been stereotyped as financially irresponsible. We go into credit card debt to go to Fyre Festival. We defraud people to put on Fyre Festival. We ghost our jobs. We do something else related to Fyre Festival. We don’t think about our futures. Recently, though, I took a quiz based on the Zimbardo Time Perspective Inventory, an assessment of people’s orientation toward time created by Stanford psychologist Philip Zimbardo. Time is “the currency of our lives,” according to Zimbardo, and his research has found that our relationship with it profoundly affects our life choices, especially how we approach risk. The healthiest time orientation, he argues, balances focus on the future (so you don’t speed on icy roads) with a hedonistic approach to the present (so you pet dogs and take vacations). Starbucks is my loophole, pleasurable in the present and in the future. Right now, I’m drinking (I’m back in Starbucks) sticky brown sludge. In the future, I can nurse this drink for up to two hours — iced coffee ages better than lattes — and tomorrow, I can get the exact same drink again. And the next day. And the next. Starbucks is everywhere; at this point, it feels like a part of a city’s infrastructure. When two black men, Donte Robinson and Rashon Nelson, were arrested in a Philadelphia Starbucks, people were outraged at the overt racism — the two men spent a night in jail because they sat down before ordering their coffees, a “crime” white customers like me commit all the time without incident — but also, I think, at the fact it happened at Starbucks. Fitting in at Starbucks is a type of privilege, easier for the white and rich and cisgender, but it’s a less obvious privilege than, say, browsing artisanal doorknobs unbothered at Anthropologie. Starbucks brands itself as a home away from home, a venue to be taken for granted: It’s the place that’s always nearby, where you can always spend under $10 and sit down. The key word there is “always.” Starbucks’s brand isn’t good coffee so much as predictability: experiences you’ve already had, drinks you’ve already drunk. It promises to sustain your routines. When Starbucks broke that promise to Robinson and Nelson, the company paid; when Starbucks keeps the promise, regulars like me pay them billions. My friend used to joke that if I were the subject of a biopic, it would just be a montage of me ordering the same thing, over and over, at different Starbucks. He was right. My Starbucks habit feels like the spinal cord running through my life, holding it together as I move from place to place, from school to job to job to graduate school. When I started my MFA program, I took a more than 50 percent pay cut. It was worth it — suddenly, I was surrounded by other writers, and I had time to read and write whatever I wanted. Financially, though, it hit me right in the routines. Restaurants and manicures became special occasion things. It took mental effort at first to do responsible, sustainable things every day, instead of the things I was used to. I could do it, to the extent that I did, because I still went to Starbucks. (I still went over budget a few months, and my dad bought my plane tickets home for the holidays.) The little dose of luxury meant I was okay. I was just being more careful with money, while sipping a custom drink at a salvaged-wood table below a painting of coffee beans arrayed in a yonic formation. There was no need to splurge at Sephora, or Madewell, or a bar where I have to look up the cocktail ingredients on Wikipedia. I wasn’t deprived. I don’t recommend Starbucks unreservedly, exactly. The coffee isn’t excellent; sometimes, it tastes inexplicably floral. It doesn’t offer the same predictability to all its customers, and it has made its former CEO, Howard Schultz, a possible presidential candidate, to the chagrin of everyone. And yet going to Starbucks every day has been, so far, a worthwhile part of my life. Even the time I got my wallet stolen in Starbucks, I went back the next day. 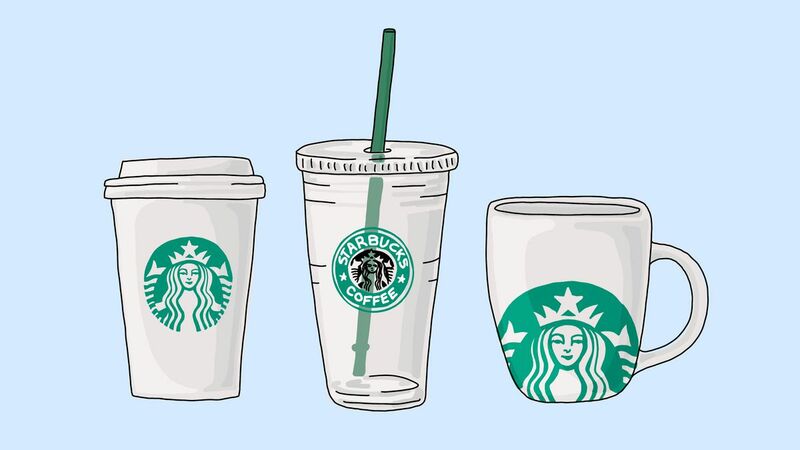 Starbucks is the faintly irresponsible thing that makes me responsible, the routine that props up all my favorite delusions: that I can, and do, live a life of sustainable luxury; that I can predict the future, at least a little bit. At least I know I’ll go to Starbucks tomorrow. Mae Rice is a writer and reporter who lives in Minneapolis and also basically lives in Starbucks.